If you haven’t yet seen any of the brilliant experimental films of Peter Mettler, I would highly recommend that you do so. 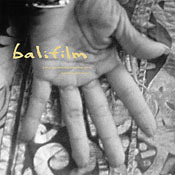 For the longest time, a lot of his earlier works, such as Balifilm, weren’t widely available. Thankfully, most of his works have been released on DVD in the past year. You can find out more about Mettler and his films over at http://petermettler.com. I was first introduced to his work about twelve years ago when I attended a screening of Picture of Light, a documentary of his travels to Churchill, Manitoba in the dead of winter to capture the Northern Lights on film. Recently, he was also the cinematographer on the Edward Burtynsky documentary, Manufactured Landscapes, which debuted at the Toronto International Film Festival. The long opening shot alone is worth the price of admission!